Because someone we love is in heaven blocks. 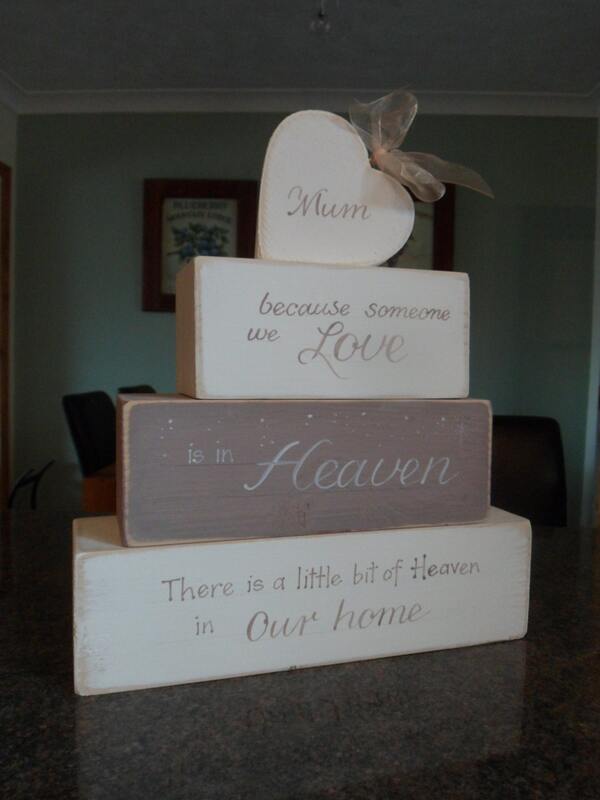 Handmade custom & personalised set of stacking wooden memorial blocks to remember loved ones. 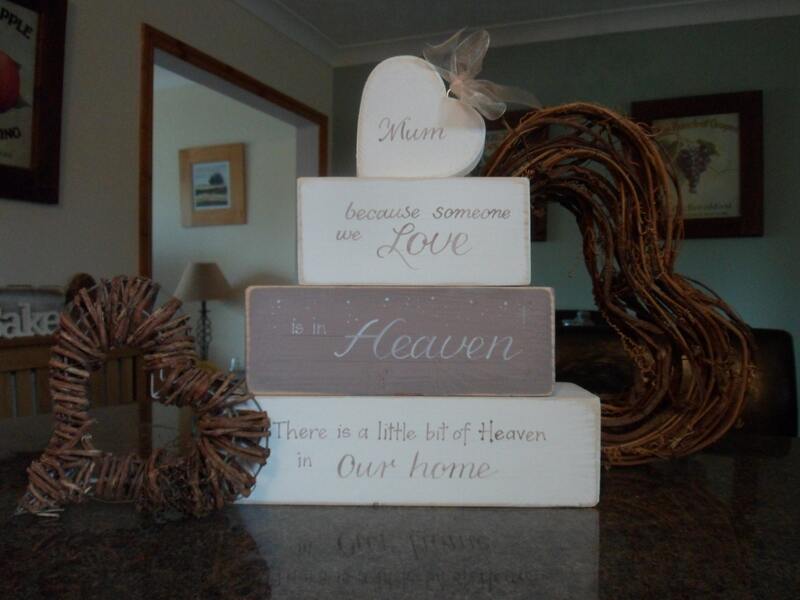 What a beautiful way to remember a loved one We have a beautiful handmade shabby chic set of blocks with because someone we love is in Heaven, there is a little bit of Heaven in our home quote.. 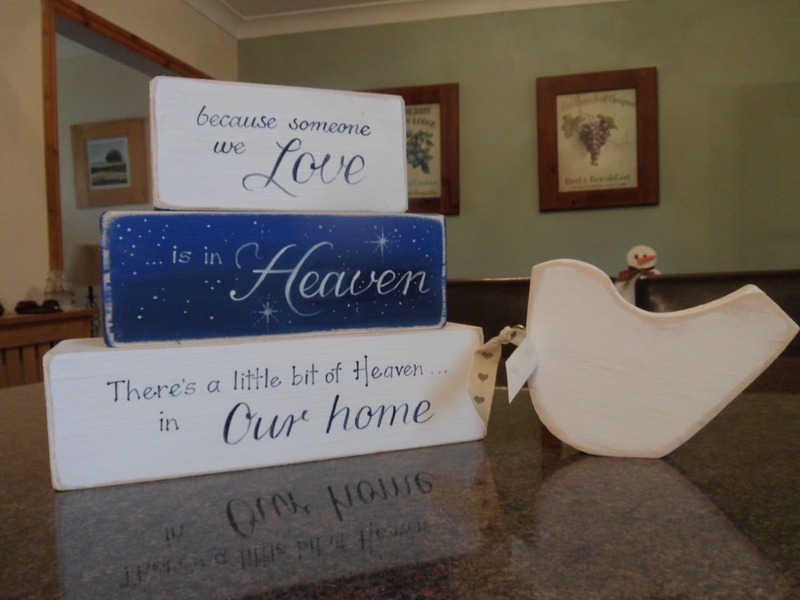 Sitting ontop or at the side a little dove, ready to be personalised with your loved ones names They are a beautiful little reminder that although our loved ones have passed away, they are still with us every day. 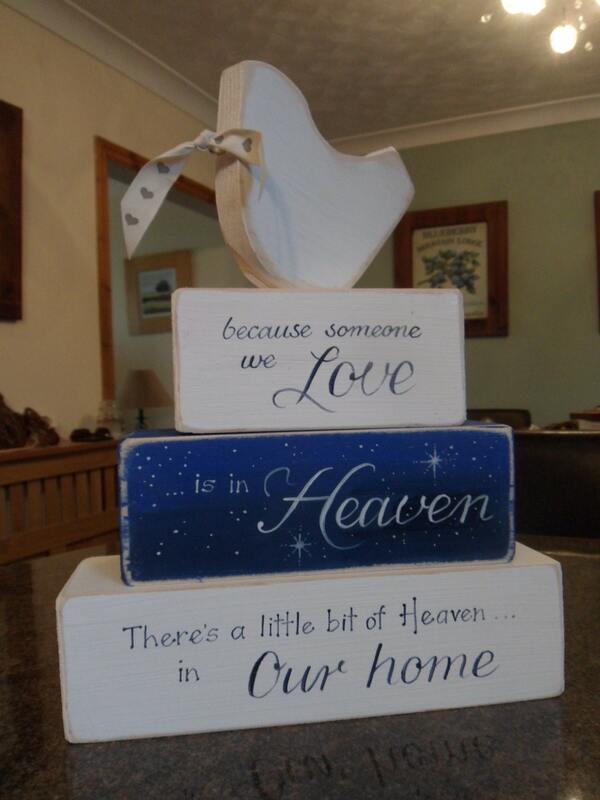 These make a wonderful gift for friends and family members who have lost someone they love. Every block lovingly painted in a colour of your choice, and sanded back to reveal some of the wood grain. 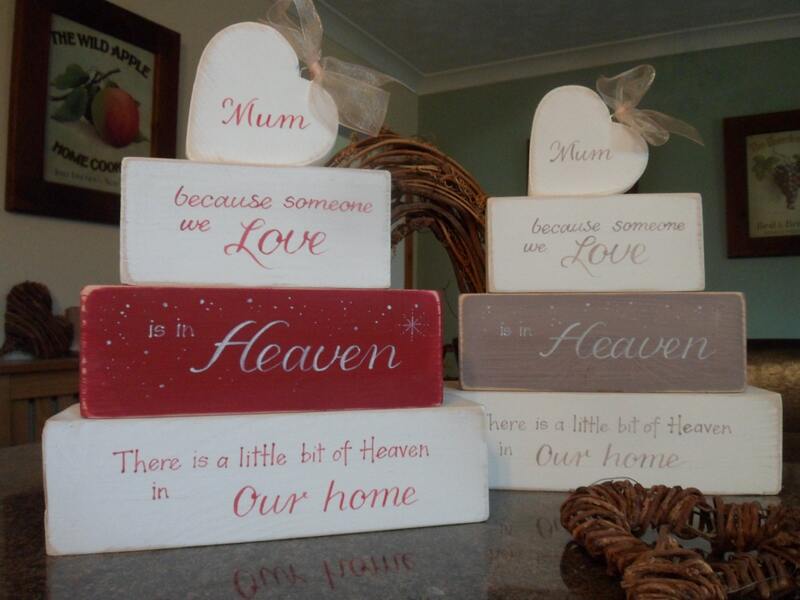 We hand paint our wooden plaques and blocks with the typography wording and quotes. You can add the name of the person you are remembering on the shabby chic white heart or dove. All finished with ribbon and raffia. Perfect!! Couldn't be happier! Arrived right on time! This item was beautiful and the family really loved it. Thank you!